Keep Your Facebook Organic Reach High! | Let's Biz Up! You are here: Home / 2015 / March / 23 / Keep Your Facebook Organic Reach High! During the last few months the internet has been chatting about the drop in organic reach for Facebook Pages. There’s been a lot of questions, especially from affiliate and online marketers, wondering how the drop in reach will impact their ability to show up on Facebook and what they can do to improve their results. But not all is lost… Even with the decline of your reach, you’re still able to reach out to your most engaged fans. However, this doesn’t mean we should ignore organic reach or pretend the decline is not happening. It just means you should even focus more and more on providing content that’s really of value to your (targeted) audience with whom you’re trying to build a relationship. So Facebook recently announced that the impact of certain kinds of Organic content from pages for self-promotion is changing. But what does this mean and how does this change affect you? Posts that push people to enter promotions and sweeptakes with no real context. Posts that reuse the exact same content from FB ads. So what is FB going to do about it? As of January 2015, this type of content will be bounced out of the News Feed. For pages that rely totally on these types of promotional posts to get exposure & drive leads, this is obviously not good news. BUT, what about pages that use posts to promote their business, events, sales, and new products in a totally legitimate way? Well, that’s where it gets a bit tricky. FB assures that the majority of the pages will not be impacted by this change. However it will be difficult to predict what the outcome of an update will be, especially when it’s performed by an automated algorithm. In the best-case scenario it will be sensitive enough to separate the good from the bad. And if that’s the case, it will be beneficial to smaller marketers on Facebook. This change was executed almost 3 months ago now and hopefully it has resulted in a more engaging news feed with a decrease of pushy sales pitches. But the most obvious effect can be that with less competition, users will be more likely to come across your high-quality posts. Another benefit can be that people will eventually learn to slow down and pay closer attention on what is shown to them in the news feed. On the negative side, it can also result that the filters are too broad and that valuable posts are marked as too promotional and therefore are not shown in the news feed. If this is the case, then your page will, in time, be signaled as a page of lower quality with poor organic reach. Let’s hope for you, you’re experienced the change as positive. 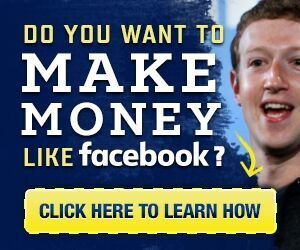 That’s of course a good place to start; you should position yourself as an expert in the field with an outstanding profile with a custom cover photo and other ‘personal’ branding elements like a contact form, self developed app’s or introducing them to a money making opportunity. While it’s not advisable to unscrupulous blast your message through your Facebook page, you also know that sharing good content is the bread and butter of many pages, especially if you don’t have the budget to drive fans with paid advertising. While the announcement does mean that brands will have to be more careful about the kids of organic content they share, there is no reason to think that you can’t still reach your audience with solid organic posts. You’ll just have to work a little harder to walk the line between providing valuable information and being too promotional.